I remember sitting on the floor with my friends and seeing all kinds of color mushrooms over the stage. That was the first stage I ssaw set up like that. It was really magical and when I get into a conversation about concerts, I always include the time I saw YES. Please tour again with Rick and the rest of the Yes gang. I will be there. Thanks for all your efforts and talent you have shared. They oversold this one. I had to sit behind the stage and I didn't really enjoy it. I should have left my friends and got a good tiny spot by myself. 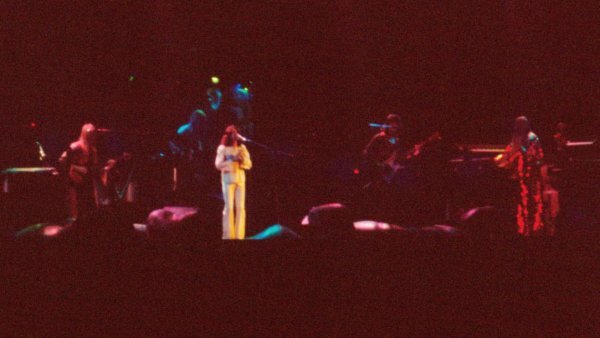 Yes played in Hershey, PA early March on the Tales tour that year. My first show. Overflow crowd caused a late start on the band only played the Ancient and Ritual. Fantastic show--wish I could remember more (too much acid and too long ago!) Been hooked ever since--on Yes, not acid.